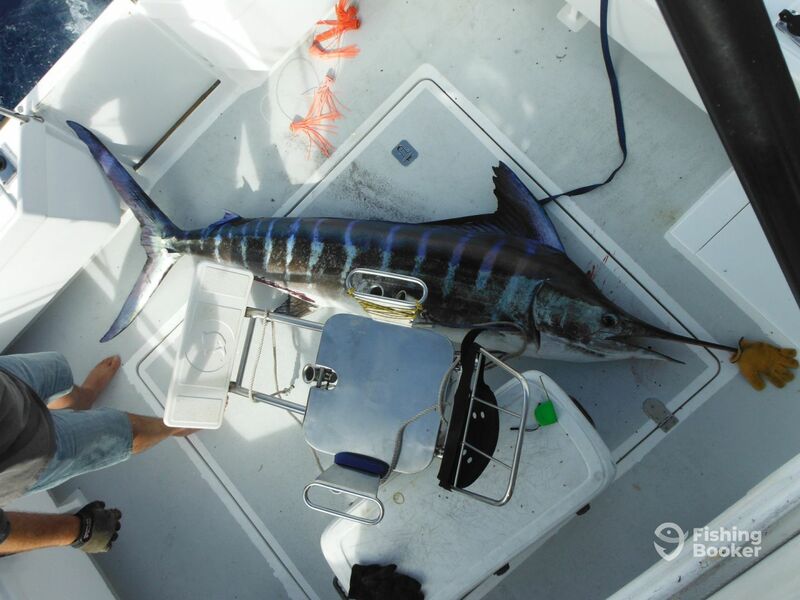 El Donna Sportfishing offers seasonal game fishing trips around the scenic waters near the Bay of Islands. 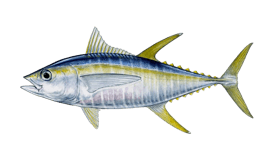 Here, you can find Striped Marlin, Black and Blue Marlin, Broad Billfish, Snapper, Kingfish, and Mahi Mahi. These big names can be caught on most of full day trips, but you’ll sometimes need to put in extra effort to get them. 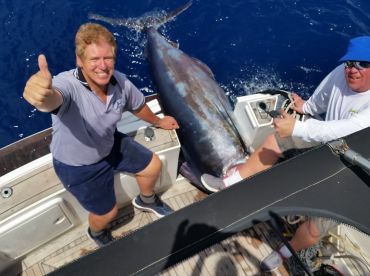 From late December through May, El Donna Sportfishing takes on seasoned and novice anglers. You can troll or go popping for Marlin, or go bottom fishing for Snapper. 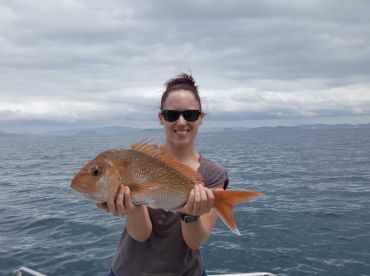 Stay overnight for a multiday trip, and you can go fishing around the Great barrier island, Coromandel and the Gulf Islands. Whichever you choose, you’ll have a good chance of landing massive fish. 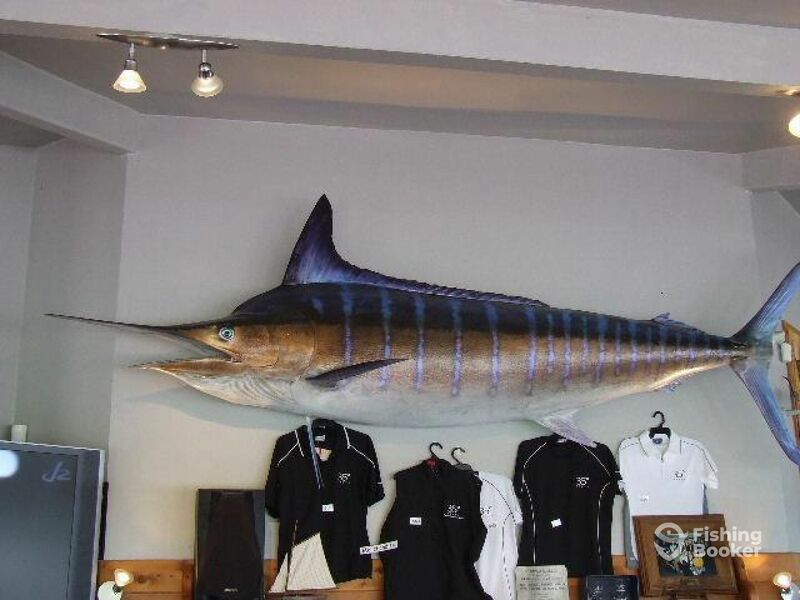 If you want to get hold of Broadbill Swordfish, the crew is specialized in daytime deep dropping. 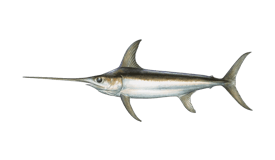 These waters are home to some of the largest Broadbill swordfish available in the world! 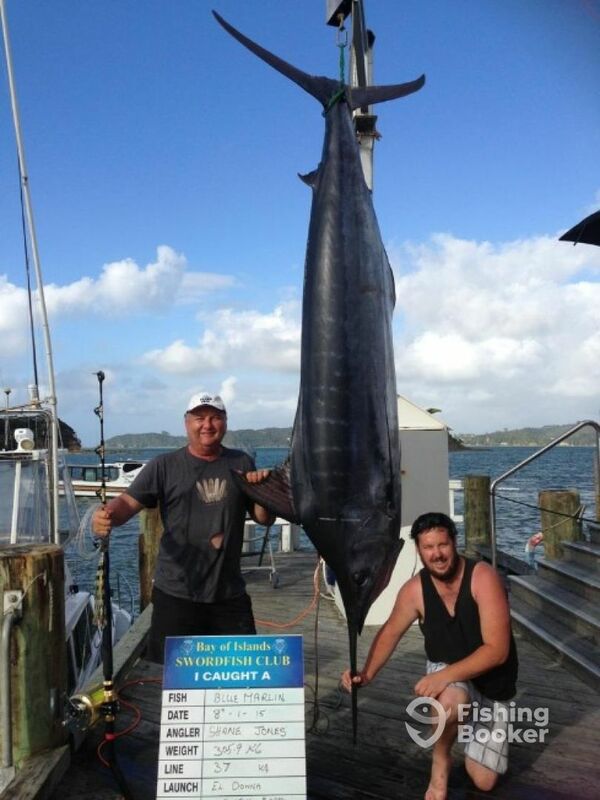 El Donna holds the unofficial world record for the largest ever Striped Marlin caught on rod & reel at 243.6 kg. 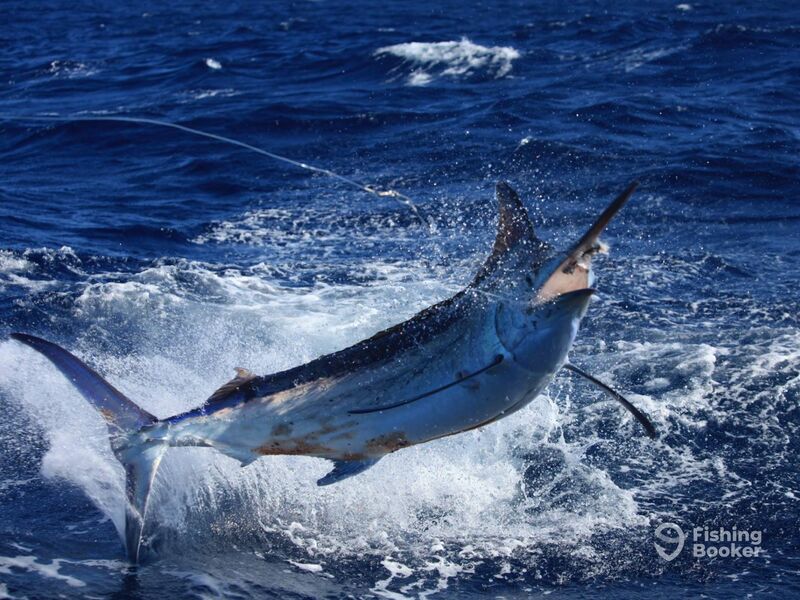 This means that the captain and deck hands are experienced and will work to help you land your first Marlin. El Donna is 38’ Pelin Sportfisher flybridge. She can take up to four anglers, and has the stamina to overcome the big bills. She is powered by a 420HP CAT 3126 engine, and can reach speeds of up to 20 knots. Once onboard, you will find all the gear, and you don’t need a fishing license. 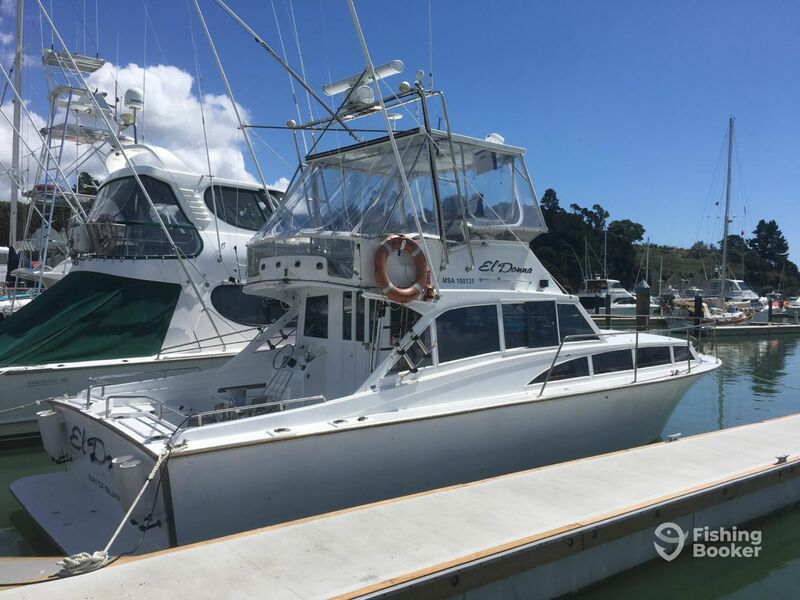 The boat is rigged with navigational electronics, has tuna tubes, outriggers, a flybridge, toilet, a fighting chair, live bait well, an ice box, kitchen, bed, and a toilet. You will get snacks and water on shorter trips, and the crew will serve coffee, tea and lunch on longer trips. 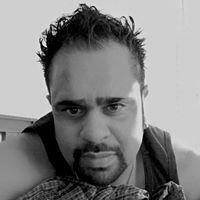 They will make sure you have an enjoyable outing, and will do their best to cater to your needs. Wear comfortable clothes, put on sunblock, shades, a cap, and take medications if prone to seasickness. Youngsters are welcome, but might want to start with shorter trips, if first timers. Book your trip, and enjoy! A one day extension on the 2 Day stay away trip offering more time to work up the Northern Coast from the bay Of Islands. 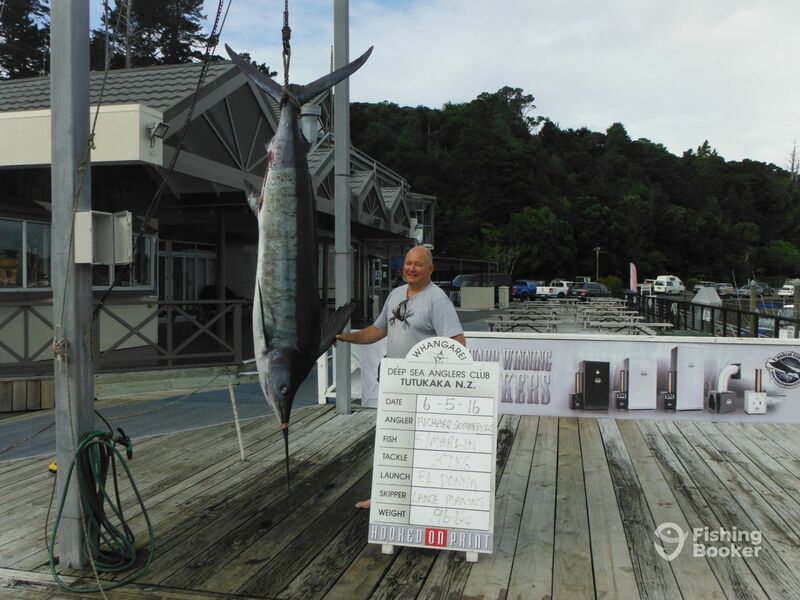 Take advantage of getting away up into the far North of New Zealand targeting Marlin / Tuna and Broadbill Swordfish. We will go for the Big fish during the day and relax with a great evening meal and snapper fish in some amazing anchorages in the evenings. All gear, bedding and food supplied. 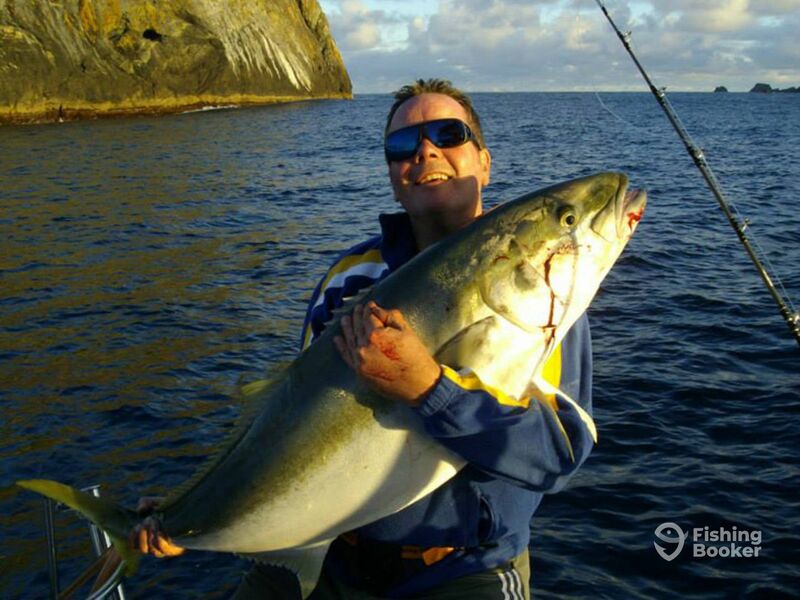 A great way to explore the incredible Northland Coast and experience some amazing fishing ! Our crew are experts at daytime deep dropping for Broadbill Swordfish. 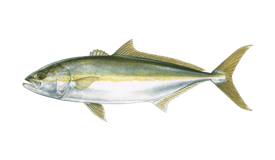 The Swordfish grounds are a 20nm run out past the Nine Pin and out to the Cavalii Seamount area. Generally, we will troll for Marlin out to the grounds. 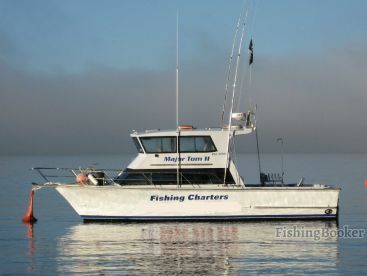 The fishing gear is supplied onboard, and you will also have lunch and coffee, and tea served. You don't need a fishing license. Put on sunscreen, sunglasses, a cap, and take medication if prone to seasickness. Stayaway is limited to 4 anglers. 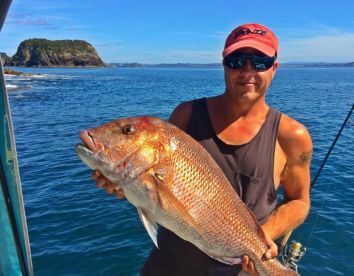 You will generally fish the Bay of Islands and either up to the Cavalii islands, or down towards Tutukaka with a stay away at an old Whaling station - Whangamumu. You will have food and coffee, and tea served. The fishing gear is provided onboard. You don't need a fishing license. 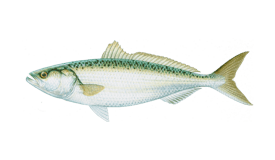 These fisheries are highly productive, and are home to some of the biggest game fish in the world. Pack your personal items, and take a camera. Then hop onboard, and have a blast! 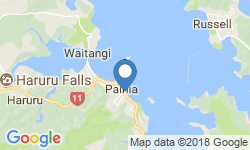 Generally leaving from Paihia or Russell wharf, you will be fishing out from the Bay of Islands and the famous Hole In The Rock. This full day private trip is great if you want to have enough time to go after game fish. The crew is experienced and know how to put you on fish. The gear is supplied, and you don't need a fishing license. You will have lunch and drinks. Wear comfortable clothes, and bring a camera. Hop onboard, and go get some big ones! 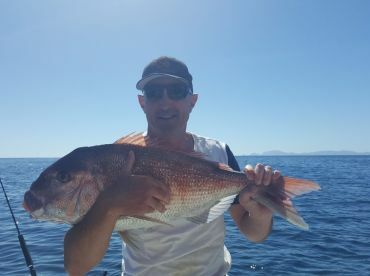 The Bay Of Islands offers some of the Freediving/Spearfishing waters in New Zealand with a host of target species avaliable including Red Snapper, Kingfish, Striped Marlin, Crayfish and Paua/Abalone, Green Lipped Mussels. Our full day trip will get you out to the best areas to dive and will include Lunch and a great dive platform. 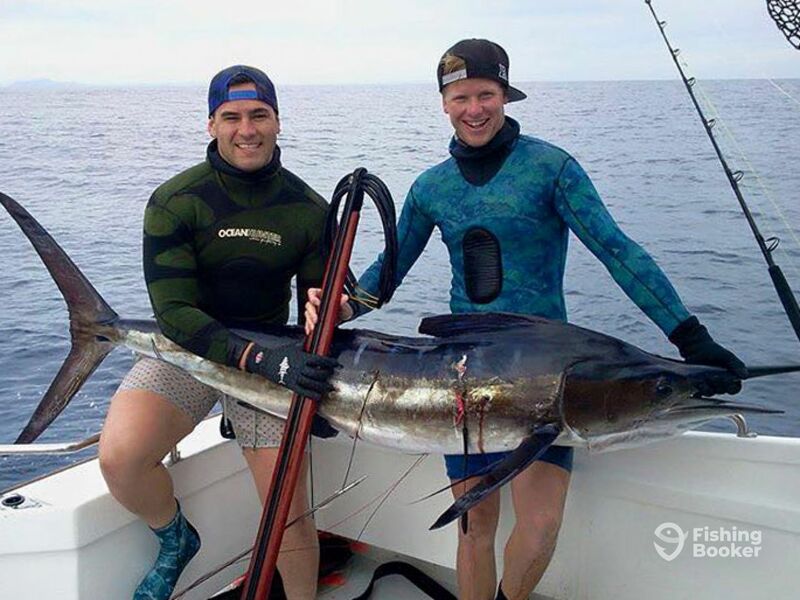 This is strictly for experienced Spearfishers supplying their own dive gear. Enjoy a tour of the wonderful Bay Of Islands! Typically, the crew will pick you up at 8 am. Then, you 'll head to Cape Brett and The Hole In The Rock. Along the way, you will visit many islands, hopefully find many schools of Dolphins in the Bay, and learn about local history. This is a great way to have complete freedom on your adventure in the Bay of Islands on your own private charter. A light lunch, tea & coffee are supplied. On this trip, the crew can take up a maximum of 5 anglers. 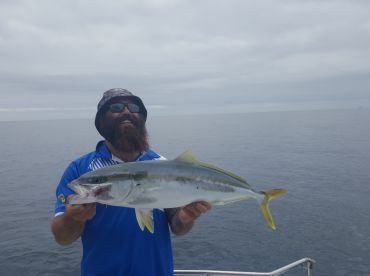 You will decide what to target - Kingfish are a morning bite, so consider going after them. 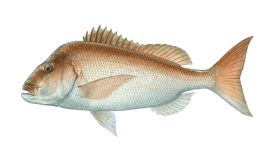 Then, head further out to deeper waters in the afternoon for Snapper. This is a great way to see the Bay of Islands, and get some fishing action happening at the same time. Lunch/tea/coffee are provided. The fishing gear is onboard, and you don't need a fishing license. Kids are welcome. Pelin Sportfisher (Flybridge) построена в 1978, обновлена в 2015. Мотор – 420HP CAT 3126 мотор, максимальная крейсерная скорость – 20 узлов.